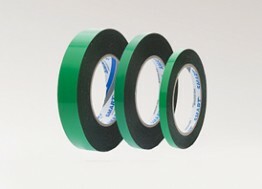 Double-sided tape with black PE foam, covered with a colorless modified acrylic adhesive. Protected individually silicified veneer in green. It is characterized by high adhesion, resistance to UV rays and aging. Very well suited for use both indoors and outdoors. 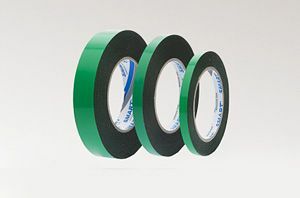 A high carrier density causes the tape is resistant to crushing and vibration so book is used in the automotive industry for assembly and finishing elements, symbols, and emblems. Besides, suitable for all applications for assembly.